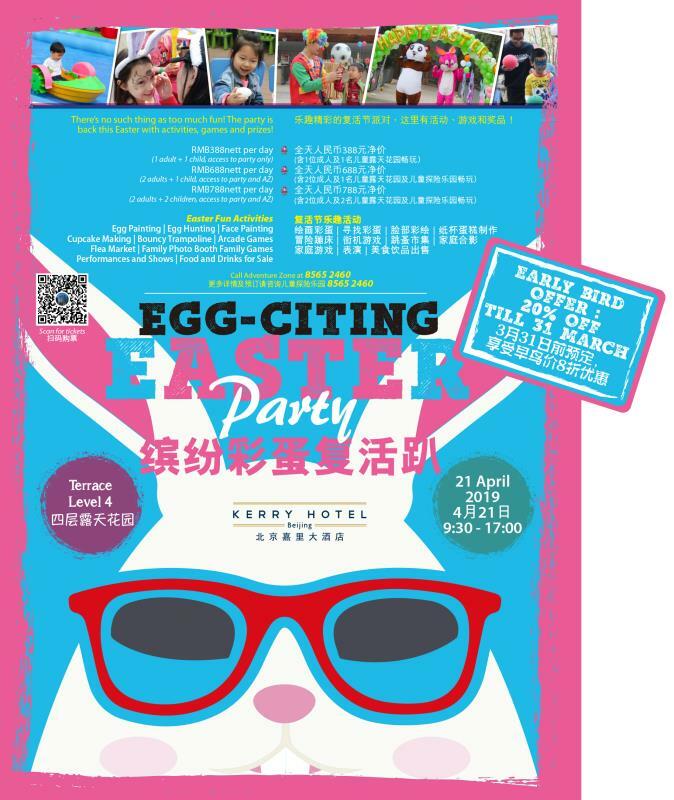 Spend a productive family day taking part in fun activities such as egg painting, egg hunting, face painting, cupcake making, family games, family photoshoots and more at Kerry Hotel Beijing. Other entertainment such as arcade machines, dance performances and JiaBao appearance will keep your little ones happily occupied. Food and drinks are also on sale.